He was the first computer scientist ever to serve on the Board of Reviewing Editors for Science and currently serves as chair of the ACM’s US Technology Policy Committee. He is also a faculty affiliate of the Experimental Multimedia Performing Arts Center (EMPAC), serves as a Director of the UK’s Web Science Trust and is an honorary professor at Wuhan University. Hendler has authored about 200 technical papers in the areas of Semantic Web, artificial intelligence, agent-based computing and high performance processing. One of the inventors of the Semantic Web. Hendler was the recipient of a 1995 Fulbright Foundation Fellowship and is a Fellow of the American Association for Artificial Intelligence, the British Computer Society and the IEEE. He is also the former Chief Scientist of the Information Systems Office at the US Defense Advanced Research Projects Agency (DARPA) and was awarded a US Air Force Exceptional Civilian Service Medal in 2002. He is the Editor-in-Chief emeritus of IEEE Intelligent Systems and is the first computer scientist to serve on the Board of Reviewing Editors for Science. Hendler was previously Chair of the WSTNet Network of Labs from 2009 – 2014 and was elected Chairman of the Board of Trustees in 2015. Professor Contractor has published or presented over 250 research papers dealing with communicating and organizing. He has been at the intellectual and institutional forefront of three emerging interdisciplines: network science, computational social science and web science. His book titled Theories of Communication Networks (co-authored with Professor Peter Monge and published by Oxford University Press, and translated into simplified Chinese in 2009) received the 2003 Book of the Year award from the Organizational Communication Division of the National Communication Association. He serves on the U.S. National Academy of Sciences committee conducting a Decadal Survey of Social and Behavioral Sciences for Applications to National Security. In 2014 he received the National Communication Association Distinguished Scholar Award recognizing a lifetime of scholarly achievement in the study of human communication. In 2015 he was elected as a Fellow of the International Communication Association. In 2018 he received the Distinguished Alumnus Award from the Indian Institute of Technology, Madras where he received a Bachelor’s degree in Electrical Engineering. He received a PhD from the Annenberg School of Communication at the University of Southern California. Dame Wendy Hall, DBE, FRS, FREng, is Regius Professor of Computer Science at the University of Southampton and is a Director of the Web Science Institute. She was Head of the School of Electronics and Computer Science (ECS) from 2002 to 2007 and was Dean of the Faculty of Physical Sciences and Engineering from 2010 to 2014. Her current research includes applications of the Semantic Web and exploring the interface between the life sciences and the physical sciences. She is Managing Director of the Web Science Trust. She is a Founding Director, along with Professor Sir Tim Berners-Lee, Professor Sir Nigel Shadbolt and Daniel J. Weitzner, of the Web Science Research Initiative. In 2017 she was invited to co-chair the UK Government’s AI review, which was published in October 2017 and has recently been announced by the UK Government as the first Skills Champion for AI in the UK. She became a Dame Commander of the British Empire in the 2009 UK New Year’s Honours list and was elected a Fellow of the Royal Society in the same year. 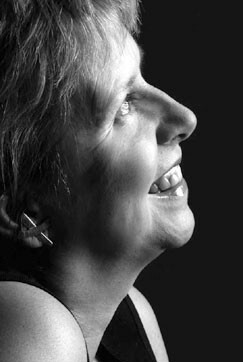 She was also the recipient of the 2009 Duncan Davies Medal which was awarded by the Research and Development Society. She was elected President of the Association for Computing Machinery (ACM) in July 2008 and was the first person from outside North America to hold this position. She was a member of the UK Prime Minister’s Council for Science and Technology, was a founding member of the European Research Council and was Chair of the European Commission’s ISTAG (2010-2012). She was a member of the Global Commision on Internet Governance and was a member of the World Economic Forum’s Global Futures Council on the Digital Economy. She was named by Computer Weekly as the most influential woman in IT in the UK (2014). 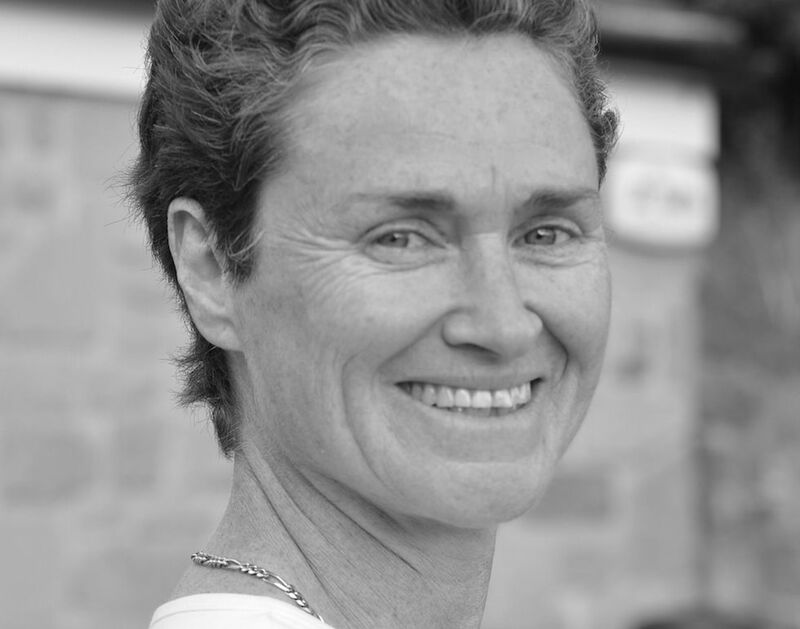 Joanna Lewis is a strategy consultant with over 25 years’ experience in advising public and private sector clients at Bain & Co, KPMG and as Special Projects Advisor to Sir Mike Rake, Chairman of BT Plc. Joanna co-founded Littlefox Communications in 2012, where she is, Chief Executive. Joanna was previously a Governor of Motability, a leading disability charity, a fellow of the RSA and a director of the Web Science Trust. Joanna has an MA in History from St Johns College, Cambridge and is a Fellow of the Royal Society for the encouragement of Arts, Manufactures and Commerce. George Metakides is a Full Professor to the Chair of Logic at the University of Patras. He is currently Professor at the University of Patras, President of the Scientific Board of the Computer Technologies Institute, Senior Advisor to the Foundation of the Hellenic World and Advisor to several international organizations. He has published numerous articles and books in the areas of Mathematical Logic, Computer Science and Science Policy and is a frequent invited speaker at major international conferences. 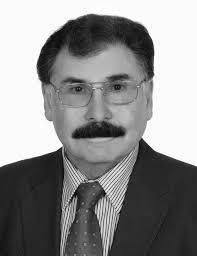 He is a foreign member of the Russian Academy of Natural Sciences and an honorary member of the Romanian Academy of Science. He has received the Medal of Honor of the Bulgarian Academy of Science, the Polish Information Society Recognition Award, for his efforts to build co-operation between IT researchers in the EU, the Nokia Award and the Telecom Europe Prize for his contribution to the development and effective dissemination of new information and communication technologies in Europe. Until November 2002 he was Director of Essential Technologies and Infrastructures in Europe’s Information Society Technologies (IST) Program (1998-2002), in the Information Society Directorate General which – besides funding and coordinating R&D in information and communication technologies in the European Union – also covers information society and telecommunications policy and regulation. He is an active contributor to the promotion of co-operation between the European Union and other regions. 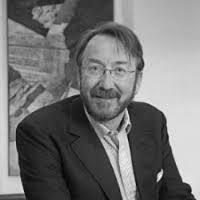 He has instigated and /or contributed to the establishment of major research agreements between the EU and the USA (including the launch of the World Wide Web Consortium, W3C in1993). He is President of the Digital Enlightenment Forum (www.digitalenlightenment.org/).In addition to DEF’s Trust in the Digital world issues, his current interests and activities include Web Science, European R&D policy and programs and international cooperation. He helped to establish the University of Thessaloniki Web Science MSc program in 2010. JP Rangaswami was the Chief Data Officer at Deutsche Bank. JP will be based in London and will report to Kim Hammonds, Global Chief Information Officer and Global Co-Head of Group Technology & Operations (GTO); and Jim Turley, Global Co-Head of GTO.JP is a Chairman and a Member of the Board at MetaCert.JP joined Deutsche Bank from Salesforce, the world’s largest provider of customer relationship management software, where he has been Chief Scientist since 2010. 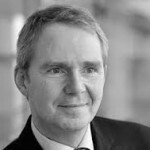 Prior to joining Salesforce, JP spent four years at BT in London, most recently as Chief Scientist of the BT Group and previously Managing Director of BT Design and Chief Information Officer of BT Global Services. JP Rangaswami is Chairman of School of Everything, an educational start-up that teaches a broad range of socially focused topics via the web. He is also a venture partner at Anthemis Group. 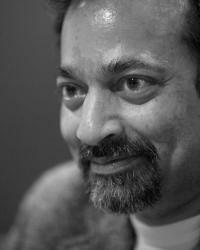 JP Rangaswami is a Fellow of the British Computer Society, a Fellow of the Royal Society of the Arts and is a Chartered IT Professional of the British Computer Society. He has contributed a guest chapter to The Cluetrain Manifesto, a best-selling business book. JP writes a popular blog called Confused of Calcutta. A feed of his latest articles is included below. Anni Rowland-Campbell is a philanthropist and Web Science, practitioner. She is Director of Intersticia (link to www.intersticia.com), a global social enterprise which promotes harnessing interdisciplinary approaches to better understand the interactions of technology, culture and society, with a particular focus on 21st Century Leadership. For the past two decades, Anni has been working with Boards, Senior Leadership and Management Teams to help them become more Digitally Savvy. In 2017 she created Brave Conversations (link to www.braveconversations.org) which brings conversations around Web Science and the Social Machine to the general public of all ages, stages and from all walks of life. Anni has led a number of research projects which investigated the notion Government as a Social Machine and is currently exploring the links between group dynamics, the Social Machine and how this impacts on our collective decision making, authority and leadership. 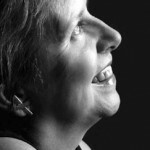 Anni has had various roles in the Arts (working with the Sydney Opera House, Royal Opera House Covent Garden and Australian Opera), Government (as a Ministerial Advisor and Member of numerous Government Boards), and the corporate sector (leading research into emerging Web technologies for Fuji Xerox Australia). 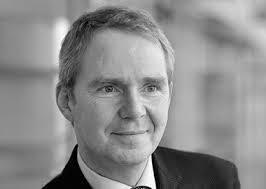 Sir Nigel Shadbolt is Principal and a Professorial Research Fellow in Computer Science at Jesus College, Oxford. He was previously a Professor of Artificial Intelligence and Deputy Head in Research of the School of Electronics and Computer Science at the University of Southampton. He was a Founding Director of the Web Science Research Initiative, a joint endeavour between the University of Southampton and MIT, and is a Director and Trustee of the Web Science Trust. He is also a Director of the World Wide Web Foundation. Sir Nigel has been given a special role to help transform public access to Government information and works closely with Sir Tim Berners-Lee to open up public access to non-personal public data. Including overseeing the creation of a single online point of access for public UK datasets. He is the chairman of the Open Data Insititute. In its 50th Anniversary year 2006-07, Sir Nigel was President of the British Computer Society. He is a Fellow of both the Royal Academy of Engineering and the British Computer Society. Between 2000-07, he was the Director of the £7.5m EPSRC Interdisciplinary Research Collaboration in Advanced Knowledge Technologies (AKT). AKT was particularly influential in establishing the viability and value of web-based semantic technologies. In 2009 he was awarded a further £2m by the EPSRC to build on this work. He has been involved in a wide range of entrepreneurial activities. In 2006 he was one of three founding Directors of Garlik Ltd, a company specialising in consumer products and services to put people and their families in control of their own digital information. He is currently Garlik’s Chief Scientific Officer. In 2008 Garlik was awarded Technology Pioneer status by the Davos World Economic Forum and won the prestigious UK national BT Flagship IT Award. He is the co-author of “The Spy in the Coffee Machine” and has an interest in issues to do with privacy and trust in the Digital Age. He is a series consultant to the BBC’s landmark documentary series The Digital Revolution. John Taysom is an Honorary Visiting Professor at UCL Department of Computer Science Fellow, is part of the Advanced Leadership Initiative at Harvard University and a Policy Fellow Alum at the Centre for Science and Policy. John Taysom founded Greenhouse Fund as Reuters’ venture capital arm in California in 1995. He is London-based with a seed portfolio of 30 US and UK start-ups; several of which have been acquired by such groups as Experian, Linkedin, Tesco, and BMC. Between 2011-2012 John took a Fellowship at Harvard to work on privacy issues and holds EU and US patents on a method of improving privacy online. John advises the Web Science Trust Board of Trustees on issues of privacy and on designing a curriculum in Digital Civics. Daniel J. Weitzner is the Founding Director of the MIT Internet Policy Research Initiative and Principal Research Scientist at the MIT Computer Science and Artificial Intelligence Lab. His group studies the relationship between network architecture and public policy and develops new Web architectures to meet policy challenges such as privacy and intellectual property rights. He teaches Internet public policy in MIT’s Electrical Engineering and Computer Science Department. Before joining MIT, Weitzner was the founder and Deputy Director of the Center for Democracy and Technology, and Deputy Policy Director of the Electronic Frontier Foundation. He has testified before the United States Congress, the European Commission, and leading international bodies. Weitzner has a law degree from Buffalo Law School and a B.A. in Philosophy from Swarthmore College. His writings have appeared in Science magazine, the Yale Law Review, Communications of the ACM, the Washington Post, Wired Magazine and Social Research. He is a recipient of the International Association of Privacy Professionals Leadership Award (2013), the Electronic Frontier Foundation Pioneer Award (2016) and is a member of Council on Foreign Relations. Baroness Fritchie is Chancellor of the University of Gloucestershire, she was also Patron of Women in Banking from April 2009 to June 2012. From 1999 until 2006 she was The Commissioner for Public Appointments. She was appointed a Dame Commander of the Order of the British Empire in 1996 and a life peer in 2005. She holds an honorary Professorship in Creative Leadership at York University and is Pro-Chancellor at Southampton University, a Civil Service Commissioner and Vice-Chair of the Stroud and Swindon Building Society. She holds seven Honorary Degrees from universities across Britain and is a Fellow of City & Guilds London and The Chartered Institute for Public Finance. Sir Tim invented the World Wide Web in 1989. In 2001 he became a Fellow of the Royal Society. He has been the recipient of several international awards including the Japan Prize, the Prince of Asturias Foundation Prize, the Millennium Technology Prize and Germany’s Die Quadriga award. In 2004 he was knighted by H.M. Queen Elizabeth and in 2007 he was awarded the Order of Merit. He is the author of “Weaving the Web“, on the past, present and future of the Web. Sir Tim has promoted open government data globally and spend time fighting for rights such as net neutrality, privacy and the openness of the Web. On 4 April 2017, Sir Tim was awarded the ACM A.M. Turing Prize for inventing the World Wide Web, the first web browser, and the fundamental protocols and algorithms allowing the Web to scale. The Turing Prize called the “Nobel Prize of Computing” is considered one of the most prestigious awards in Computer Science. Sir John Taylor is an honorary fellow of Emmanuel College, Cambridge and was a visiting professor at Oxford University from 2004-2009. He is a computer scientist and business leader whose pioneering research has helped to guide UK strategy in computational technologies. His early work was on multiprocessor computer architectures, computer security and secure data networks. A Fellow of the Royal Academy of Engineering, John was awarded an OBE for services to the computing industry and in 2004 received a knighthood for services to scientific research. Sir John completed a five year term as Director General of Research Councils, responsible for the UK Science Budget and the seven Research Councils funding research across the whole spectrum of science and technology in the UK science and engineering base. He was formerly Director of Hewlett Packard Laboratories Bristol, where he developed major programs of research in areas including internet security, wireless communications, telecommunications, personal digital imaging, software engineering and mathematics. He was chairman of Roke Manor Research Ltd from 2004-2010, and in May 2009 became Chairman of the Web Science Trust. He was a non-executive Director on the main board of Rolls Royce from 2004-2007 and a member of the Council of the Royal Academy of Engineering from 2004-2007. Sir John was Web Science Trust Chair of the Board of Trustees from 2009 – 2014. We also wish to acknowledge the contribution of colleagues who acted as supporters and research fellows for the forerunner to the Web Science Trust, the Web Science Research Initiative (WSRI). They are listed here.